Beginners Nursery slopes are in the centre of the village and there are gentle blue runs to progress to. Intermediates Virtually all the slopes in the Bad Kleinkirchheim and St. Oswald ski area are ideal for intermediates. Advanced skiers will enjoy the beautiful and challenging Franz Klammer downhill run. Snowboarders take the Nockalm gondola to St. Oswald for access to the Q Park at nearly 2,000m. 50km of cross-country trails and 60km of cleared, marked paths & 10km of high altitude trails. The traditional and cosy Trattlerhof is run by the 5th generation of the Forstnig family and enjoys an excellent reputation for comfort, cuisine and friendly service. 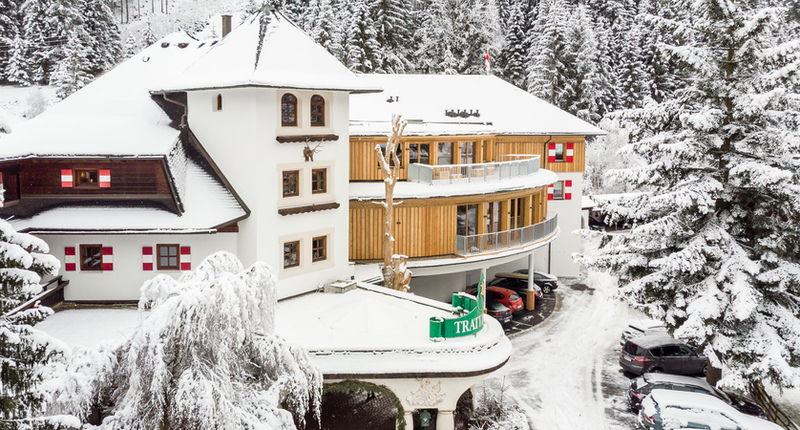 Lovingly run by the Ortner family and set in a quiet location, the superior Hotel Eschenhof has an excellent reputation for high standards of cuisine and hospitality. This luxury spa hotel is lovingly run by the friendly Pulverer family who pride themselves on their hospitality and home-from-home atmosphere. It benefits from a great position just 300m from the Maibrunn lift with a ski bus stop outside.